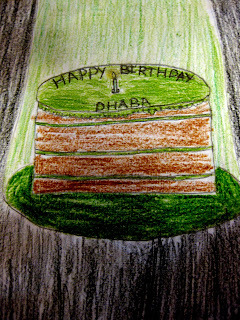 Tuesday marked the one year anniversary of the Green Light Dhaba, so you can consider this to be our virtual birthday party. In the last 52 weeks, we've published a whopping 158 posts--all from an uncompromisingly green perspective. Those include interviews, poems, photo essays--and good, old fashioned editorials about the state of the world. Sure, a few of those were knocked out in an hour or less--but most took a lot longer than that--our BRT photo essay, for example, took at least 12 hours to complete, and that's no joke. There are two main reasons why it made sense to run 2-3 posts a week, every week, during the first year. First, it is hard to build an effective 'blog machine,' (links in, search rank, subscribers, readers, etc. ), without consistency. And audience matters--why else would I spend so much time reading and writing and linking? If there were no readers reading, I'd just go back to grumbling under my breath. Much, much easier, that. Second, there has just been so much to write about this year--from toxic scrap to ceiling fans to the Commonwealth Games--once I got started, I realized I could write a post a day, every day, forever, if I just had the time! But I don't, of course--have the time, that is. There are so many other things a person needs to do in a day, really. So this year, my target is lower: instead of 2-3 posts a week, I'll do one--or maybe two if inspiration or outrage strikes particularly hard. That would change, of course, if I got more regular contributions to the dhaba. In fact, I'd love to run 2-3 posts a week that I didn't write! For some ideas about I'm looking for, check out this page; or see what others have already contributed here. We aren't the Huffington Post, of course, but you will be read by interesting people. An average post here gets over 100 views; guest posts tend to do double that--and often better. And every so often, something goes viral and ends up in all kinds of interesting places. So write for us. It's good for you. It might even make a difference. I know, I know, I can hear voices in the back grumbling that it's time I shut up so we can cut the cake and get on with the celebration. Fair enough. But before I turn off the lights and light the candle, one short word about gifts--after all this is birthday party. For those of you asking what to give an environmental dhaba, the best thing you could do would be to resolve to think more about the earth we live on and the people, plants and animals we share it with. And if you are in a really generous mood, you can take this post, or any post you like (the best ones are grouped in the categories at the top of the page) and send it on to a dozen people! No, this is not a threatening chain letter-type thing. I am not going to tell you about the guy whose mother died after he failed to send on one of our posts, or about the woman who won a million pound/dollar/rupee/ruble lottery after she did pass on a post. But if you like what the Dhaba does, today would be a great day to spread the word. Now, 1-2-3...the lights are off, the candle is lit; I'll leave the singing to you!